Car shopping in the Beckley area? Look no further than the new vehicle inventory at Mercedes-Benz of Charleston. We have a wide variety of models in stock, from the popular Mercedes-Benz C-Class to the fan favorite GLA. When you’re ready to take your Huntington commute to the next level, stop by Mercedes-Benz of Charleston to pursue the Mercedes-Benz models for sale in Charleston, WV! 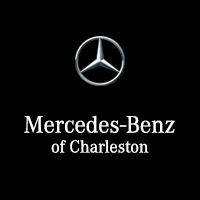 Why Choose a New Mercedes-Benz From Mercedes-Benz Charleston?